(2016). Serum anti-oxidation enzymes response to L-Carnitine supplementation females basketball players. International Journal of Bio-Inorganic Hybrid Nanomaterials, 5(3), 213-221.
. "Serum anti-oxidation enzymes response to L-Carnitine supplementation females basketball players". 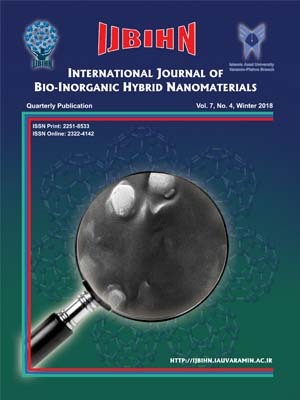 International Journal of Bio-Inorganic Hybrid Nanomaterials, 5, 3, 2016, 213-221. (2016). 'Serum anti-oxidation enzymes response to L-Carnitine supplementation females basketball players', International Journal of Bio-Inorganic Hybrid Nanomaterials, 5(3), pp. 213-221. Serum anti-oxidation enzymes response to L-Carnitine supplementation females basketball players. International Journal of Bio-Inorganic Hybrid Nanomaterials, 2016; 5(3): 213-221. Supplementation has beneficial effects in immune system and can antioxidant enzymes activity increases during the exercise and protects the tissue against the oxidative stress. L-Carnitine is a famous Supplement and helps to protect against the oxidative stress during and after intense or prolonged exercise. The aim of this study was to investigate the effect of L-Carnitine supplementation on the blood anti-oxidation enzymes (GPX SOD, CAT and GR) response. In this semi experimental study, 20 basketball players participated. They randomly divided into two groups of supplementation and placebo respectively. Superoxide Dismutase (SOD), Catalase, Glutathione Reductase (GR) and Glutathione Peroxidase (GPX) evaluated. Supplementation groups intake 3000 mg on the day for 2 weeks. Then 2 groups participate in Basketball acute training. The data analyzed using SPSS- 20 and repeated measure ANOVA, Bonferroni and independent t-test at (α≤0.05). Our findings showed a significant increase in SOD, GPX and GPX (P<0.05) .Based on the finding of this study, we can say that if females basketball players use L-Carnitine, this may increase their enzymes anti- oxidant .Our results suggest that the increased basal anti oxidative capacity (GPX SOD, CAT and GR) following L-Carnitine supplementation can increase the undesirable alterations of exercise-induced oxidative damage in active females.